Some might say it looks as though Oasis' back catalogue will be hitting Spotify in the near future. 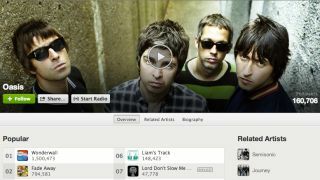 Ignition Records' director John Leahy told Music Week that while Oasis has traditionally resisted the lure of the streaming service, the company is "talking to Spotify at the moment to address that" and "it will be addressed very soon". Don't look back in anger: read some more tech news nuggets instead.